Enjoy this three-bedroom, three-bath, one-story Traditional, short distance to the ocean. Master with fireplace, bath with his-and-her sinks. Wainscoted great room with two fireplaces, open living and dining room with vaulted ceilings, chef's kitchen. 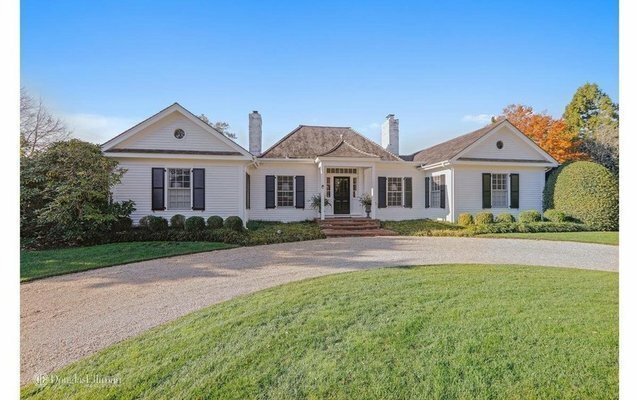 Beautiful private gardens with heated pool and poolhouse.